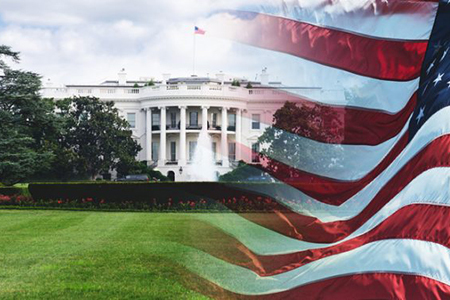 NAR Power Broker Roundtable: A New Administration – How Will It Impact Real Estate? Rei Mesa, CEO, Berkshire Hathaway HomeServices Florida Realty, Sunrise, Fla.
Mark Stark, CEO, Berkshire Hathaway HomeServices Americana, Las Vegas, Nev.
Gary Scott, President, General Brokerage, Long & Foster Real Estate, Chantilly, Va.
John Kersten, President, Century 21 Town & Country, Shelby Township, Md. Robert Bailey: With what some have called “the mother of all presidential elections” now mercifully behind us, a new administration is coming to town and a changed Congress will be seated. How is this likely to impact our industry? What are the leading issues at stake, and how will the REALTOR® Party, in its efforts on behalf of real estate professionals and consumers, approach moving major programs forward? We’ve asked a few insightful industry veterans to weigh in. Rei, are you looking for changes ahead in how we approach our housing agenda? Rei Mesa: One of the smartest things about the REALTOR® Party is that we don’t get into partisan politics. We always have, and always will, work with legislators on both sides of the aisle, in every administration, to support the issues that matter most—both to the industry and to our customers. It’s that sense of purpose that keeps us relevant no matter who is in office. Mark Stark: I think every good brokerage should make a commitment to focus on the things we can control, rather than the things we can’t. As somebody once said, 90 percent of the things you worry about are never going to happen anyway, and 10 percent already have—so stop speculating about what might happen in Washington and look inward to do the best job you can within your own company. John Kersten: I’m encouraged that the incoming administration is basically pro-business and pro-housing. They understand the positive impact a healthy housing market has on the general economy, and how important it is to maintain that kind of healthy market. Gary Scott: As long as interest rates rise slowly and steadily, I don’t believe there’s too much to worry about at this point. The hope is that the pendulum will swing through the “sweet spot”—deregulation without over-deregulation, and careful attention to what happens with Fannie and Freddie. RM: Home prices are on the rise, the Federal Housing Finance Agency tells us, and maximum loan limits for the mortgages acquired by Fannie and Freddie will increase next year for the first time since 2006. That’s a positive development—and actions at the state and local levels can have their own positive impact. GS: There’s a “transition lag”—the time between when any decision is made and when it is actually put in place. So as Mark said, stop speculating, run your company, and throw your support behind RPAC to keep pressing for the best interest of the real estate industry. RB: So let’s have a look at the RPAC agenda. What exactly do we want to promote as a new Congress settles in? JK: A game plan that supports affordable housing. That has always been, and continues to be, first and foremost to American families and their quality of life. MS: Housing credits, preserving the mortgage interest deduction, interest rates at a well-controlled level…the core issues that promote homeownership and increase business in our communities. GS: I also think it’s vital that we promote our own path forward in ways that enhance our value to consumers. A comprehensive education platform, a more efficient digital experience—all the things that reach out and touch first-time buyers and bring more listings into the market. RM: As long as we stay focused, we have a clear path to moving our programs forward. Job growth is up. Housing starts are up—and more millennials are coming into their prime home-buying years. RB: From what we heard from NAR at November’s REALTORS® Conference and Expo, the forecast for 2017 is promising. A pro-housing mindset and some innovative strategies may be just the mix we need to make it happen. For more information, please visit www.nar.realtor. For the latest real estate news and trends, bookmark RISMedia.com. Why Is Homesnap One of Real Estate’s Hottest Apps?